Need fellow BMW-owners perspective on my dilemma. I used to drive a Mazda3, lovely little car, but one day I accompanied a friend in shopping for a 328i and just loved the feel of that car. Long story short, I ended up trading in my Mazda (at a very good price - almost the price I got it for!) for a 2008 335i with 44k miles on it - about 6 months back. Lovely car, its what a car should feel like in my dreams. I was elated. Also purchased extended warranty with the expectation of living happily ever after. After that - its been only problems! First, after a short drive to Mt Hamilton the car showed BRAKE lights with the car lift icon. Turned out to be the rear brake. Took it to the dealer and asked him to do it for free, since I had just bought the car (45 days since I bought it). The dealer first argued it was an "as is" sale and the werent obliged to pay for it, but then after some time came back and said "its been taken care of this time" and that it was a sensor thing. And then a month later suddenly one day my car started leaking coolant! Took it in, cost me around $300 to get it fixed! Turned out to be some kind of valve. Took me multiple visits because they kept topping it up with water and sending me away! Luckily on one of the trips it leaked visibly when I was talking to the service advisor and I could say "look! its leaking!". Next, after a month I notice this grinding sound at slow, parking speeds. I think it may have always been there but my friend pointed out and then I realized its there. Especially when turning it moving slowly without any throttle, in an incline. Took it to the dealer, couldn't replicate this. Took my car back. Then reading extensively on this, I figured out several 3 series and 5 series owners (including some BRAND NEW cars) have this problem, and the closest anyone has come to a diagnosis is some issue with the ARS block. Or an idling issue. Or a software issue. No one seems to know. Later I took the car in to an indy shop, they couldn't diagnose it either. They asked for my permission to take the whole thing apart and study it, and I politely declined. At the same time, my left indicator bulb failed, and thankfully this indy shop just replaced it for $15. However, in looking at this they seem to think that the car has "definitely been in some kind of accident", because some frame kind of thing (I dont remember the exact word they used) was replaced, but replaced well. The carfax report shows no such accident! And then.. was on a long drive in the middle of nowhere with my family, throwing the car along some nice curvy hill roads, having a blast.. when a RED alert showing the car lift appeared, making that "ding" sound, and then a red BRAKE light appeared and stayed on. Doing "check control" revealed the front brake icon this time. I had no idea what that meant (brake pads or rotors or fluid or what.. I'm really not a handson guy), I didnt stop the car, I just took a risk and drove back, staying in the slow lane and periodically dabbing the brakes to make sure they were working. Thankfully made it back home (with a cancelled long weekend) with family, without incident. Took it back to the dealer, apparently the brakes need to be replaced ("due for replacement") and it costs around a thousand bucks! I did purchase extended warranty with the car but of course, none of these items are covered by warranty. Now I am really done with this car. Enough is enough. I need to trade it in and get something that actually works. Something that I can safely put my family into, and be 100% sure will reach my destination. Nothing against BMW, these cars are GREAT, but now I feel like these are for people who can afford them brand new, not average joes like me with a $20k budget. And it beats my why people pay 10 bucks for a carfax report when these things can go unreported! Its not the time, or even the $$ that ticks me off. It is the fact that these things just pop up suddenly, and they are scary. I just cannot go on a long drive in this car, especially with my family in it. Every time one of these failures happen, I ask the dealer "please do a full checkup" and "is the car good for a cross country drive" and they always affirm a resounding "YES". But it seems, whenever I take the car more than 100 miles from my city, the car comes up with something or other and that is scary! Anyway now my dilemma is... once I get this BRAKE issue fixed, what do I trade it in for? I rented an Altima for this weekend and I find it is horrendous to drive (sorry Altima owners - thats just my perception). I test drove an Accord and its much better than the Altima, but has no soul. I can do a budget of around 25k (perhaps stretch to 30ish). I personally dislike Toyotas. - Mazda6 - Maybe I should go back to Mazda? My Mazda3 was fun to chuck around (though nothing comparable to BMW feel) but is it comparatively good in its segment? - GTI - I dont know about this... From reading ownership reports, VW/Audi reliability seems to be even worse than BMWs. Some GTI owners (even recently) report their NEW cars dying out on the freeway, and having HPFP issues. Thats scary! However (next to BMW feel) I love how this car drives! - Ford Fusion? Is that good? Are Fords reliable now? - A lightly used G37 for 30k-ish? - A lightly used 328i (F30) or stretch a little bit to a new 320i? Are the 320s good? It would be a barebones stripped car with no luxury features but I figure I can still have BMW-levels of fun tossing it in curvy roads, right? Or, do fresh-from-factory BMWs have issues too? I am once bitten and very very shy now! Also, should I consider Subarus? Are those reliable? Are they fun to drive from a BMW-drivers perspective? Problem is, after driving the 335i every car seems to be "lame". Looks like I pampered myself with one of the best cars out there, way before I am able to afford it. And going back to an economy car is not a savory experience . But if it comes down to having a car that works or not, I guess its better to go back! Oh and cars like Speed3, Civic Si are out of the equation because I need an automatic. Also, need four doors. Those are for family reasons beyond my control. What would you do, in my situation? I need something that will be reliable, will stay reliable, that I can trust every single time, service as per schedule and at other times fill gas and just drive it, and still have fun with the occasional backroad. Does that car exist, or is it a rich mans thing now? Is that car the 320i? Last edited by newoldbeemer; 07-06-2013 at 10:45 PM. Uh-oh, sorry looks like I posted the thread under the wrong section by mistake. Can a moderator please help me move this thread one level up, to "New & Preowned BMW Ordering / Pricing / Tracking Information Forum (including European Delivery)"? EDIT: I will copy-paste this into a new thread in the correct section. Please delete this one. Once again, sorry about that! go with honda I4. It is a perfect family car. 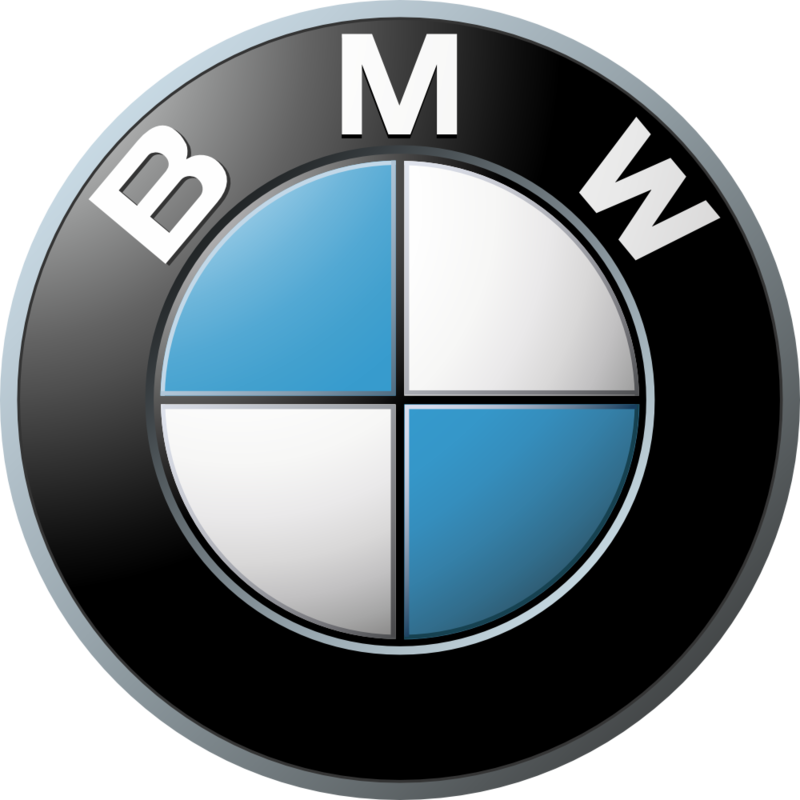 People with 20k budgets should really factor in the maintenance costs of a used BMW - its still a high end 50-60k car at the end of the day and the parts and service reflect that. Or buy a new one with new car warranty. You have had a couple of brake problems that is maintenance. Apart from the grinding sound that you're not sure of, that could have been the front brakes... I don't think your car is as bad as you make it out to seem. Evidently, you two guys didn't read the entire post. It isn't about $$, it is about suddenly failing without any prior warning, and multiple "check ups" at the dealer without being able to diagnose anything. I am too tired to explain the difference over and over again. Anyway, this ended with me getting a new F30. Exchanging the car for a new one wasn't cheap, but like I said before, it isn't about the money. It's about getting into a car and going somewhere knowing that the chances of something going wrong are quite low. Oh and please, if the 3 series is not a "family car" (whatever that might be), what do you think it is? A car for single orphans? Fact of the matter is, that car wasn't reliable and my dealer and a couple of Indy shops had no idea whats going to fail next, and that didnt work for me. Whether it is going to cost me or something will be warranty-covered AFTER it fails is less important to me, than the fact that things keep suddenly failing. Sorry to hear that you had such a hard time with the 335 but glad you remained in the BMW family. I myself have a 335i that I bought used. I'm not a wealthy person but this is my 5th BMW and I've learned a few things along the way. 1) Never expect a used BMW to run perfect unless you do some after purchase preventative maintenance. 2) Never trust a carfax report. Always get the car inspected by your mechanic or even the closest BMW dealer. 3) Never trust a used car salesman no matter how honest he/she seems. My experience is that the will buy a car at auction, check the bare minimum, have someone they know inspect and pass the car, sell the car and wash their hands of it. Some won't even put gas in it for you to make it home. 4) Find an indy that specializes in BMW. These cars are truly fantastic machines that drives like no other. That is, when they're running. Anyway, hope you're enjoying the F30. I hope to purchase one when I get tired of the E90. How about the Cadillac ATS? I haven't driven it but i read somewhere it's apparently comparable to a 335? I got myself a fully loaded 2008 g37s coupe 6mt for 23.5k with 35k miles on it. The thing has been bullet proof. I have since put on about 15k miles in 10 months and the only problem I have had is the sunroof (a screw fell out from motor bracket, SO I SCREWED IT BACK IN, lol). 2010 was the facelift with new electronics. Look for a g37s sedan, you will not be disappointed. I love bmw's but I think all luxury cars are overpriced. Infiniti fell into the perfect pricerange for what I was willing to spend. Unfortunately infiniti put new gadgets in the car and jacked the prices up but that doesn't mean the used aftermarket still isn't in perfect condition!!! Just to comment on the Altimas you mentioned. They can not comapare to bmw in terms of the feel and performance, however if you want a car that you don't want to waste another pennny into, well Altima is that car. Most you'll have to do is change oil, tires and brakes. I drove an Altima for 90k miles and all I sepnd was a set of new tires. Dealer had 'oil change for life' deal. For cost efficiency there is nothing like it on any vehicle class. I am now a very happy onwer of a 335d. Do not miss my Altima but it was a heck of a car for its money! but i read somewhere it's apparently comparable to a 335? Somehow Cadillac was not in my thinking. I am wary of those Detroit companies except the biggies Ford and Chevy - I cant help worrying that the company will close and my car will be worth nothing. Paranoid, I know..
My main gripe was the CVT. I just couldn't get used to it. Same story with a rental Chevy Cruze I drove for a week in the east coast, otherwise a nice car but when I wanted to acelerate, all it would make is noise! In those segments, I liked the Mazdas (both the 3 and the 6) better. Find More Posts by BMW..
Look into a G37 if you want something different. The VQ platform is pretty stout, they had some teething problems but have since got most of it sorted out, you can get it in a 6spd manual transmission which is pretty solid, and also you can get them with big Akebono brakes that work well. Stock for stock they are comparable, the G acceleration, braking, handling are comparable. Granted the 335i's with a tune will be much faster. I test drove a G37 coupe 6spd with big brakes and it was nice, quick, pleasant to drive, it was just missing that little 'something' that BMW seems to have figured out soo well in the 3 series. With that being said, the G seems to be a real nice car, relatively low maintenance costs, good looking, and well rounded. The one I test drove was an 09 with 23k miles and it was 24k from the dealer if I remember correctly. Also yes, if you buy a used car regardless of what you paid for it, you still end up paying for replacement parts for a car of that value. I.E "Oh I bought this 05 745Li for 18k!" "Well you still are buying parts for a 90k car if anything breaks"
Did you consider the Hyundai Genesis Sedan. It's bigger than all the other cars that you mentioned and has good power to satisfy for quite some time. The maintenance should be ok I guess. Guys, thanks much but like I mentioned, I already replaced the car with an F30, and glad I did that! Have you looked at Mercedes? I think you can get a decent CPO'ed C-Class at your budget of $25K. I got mine CPO'ed and fully loaded for $27K. My 2009 C300 has only costed me $750 in the nearly 2 years I have own it. ~$475 Tranmission Fluid Service - This was not required but I read on forums that it should be taken care of at 40K miles, so I did. Great car, not as fun as my 328i but the closest you'd get to a Bimmer's type of handling over all the cars you have mentioned IMO. Edit: Having a "wanna get away" moment right now. If you have some time you should learn to fix those things yourself. Brakes would have cost about 200 usd then. revived old thread. smh, should've checked the dates.